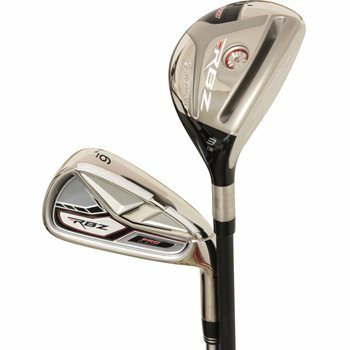 • Ultra-thin face thickness promotes faster ball speed and distance in long and middle irons. • Inverted Cone Technology promotes faster ball speed and distance on off-center hits. • Wide soles in longer irons increases the Moment of Inertia and forgiveness while lowering Center of Gravity for easier launch. • Progressive topline thickness starting thin in the short-irons to thicker in the long-irons provides a confidence inspiring look. • Advanced groove design promotes increased spin and control.